The Cavaliers have had 8 nationally televised games thus far this season (seems very low) and to put it bluntly, they have embarrassed themselves. In the past few weeks they have lost by 32 at home to the Houston Rockets (Saturday night) and by 34 at home to the Oklahoma City Thunder. In all, they are being outscored by an average of 18 points per game in their national TV games, ouch. Obviously the call to take them off of national TV was in jest, and who doesn’t like to watch a good train wreck (that was harsh), but the sentiment and extreme befuddlement is real. The Cavaliers have serious problems and this is the most a LeBron James team has struggled maybe since he entered the NBA as an 18-year-old. 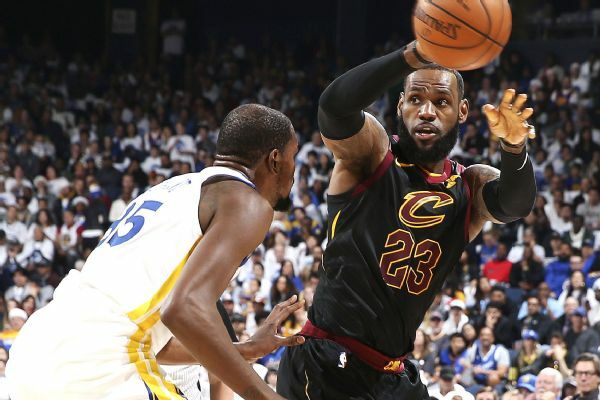 The Cavaliers just don’t seem to have the desire or consistent effort to translate into winning basketball and that is even more exposed against elite and highly motivated opponents on national television. The Cavaliers sorely need a trade or a change to inject some life into a team that is sinking fast.